Thu, 6 Jun 2013 | Published in I Was There . 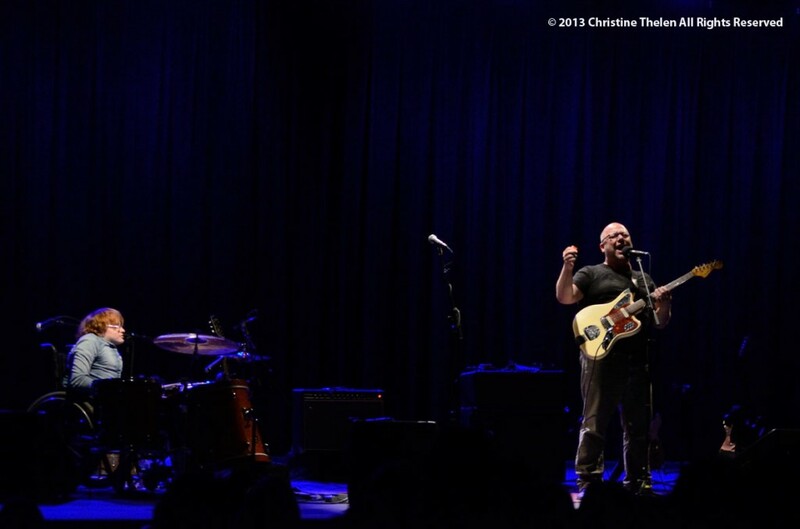 . .
On Friday, May 17th, Pixies frontman Black Francis (Charles Kittridge Thompson IV) put on a very special show for a sizable crowd at Symphony Space on the Upper West Side. Unknown to many frequent concert goers, Symphony Space is a classy venue. It almost seems to be somewhat of a younger cousin to the Beacon Theatre. The atmosphere is a bit more theatrical than your average venue in New York City, and there is a clean and simple look to it that makes people focus on the music. Black Francis could’ve called this show part of a tour in celebration of his remarkable 20th anniversary of launching a solo career; however, this show was part of a tour based purely on playing music. Like the theater, itself, the stage was simple: guitars, an amp, and a drummer, Jeremy Dubs. That was all that was necessary. Apparently, Black Francis had no set list for the evening; the first song “Crackity Jones” was even a surprise to Dubs. “I didn’t tell you we were gonna do this one – that okay?” Black Francis said to Dubs. Throughout the lengthy two-hour show, the twenty-seven songs Black Francis played encompassed many favorites from his entire musical career – from Pixies’ greats, to songs with Frank Black and the Catholics, to several of his solo recordings. Pixies’ songs were especially meaningful, being performed in an acoustic format and sounding somewhat unique and special in that way. 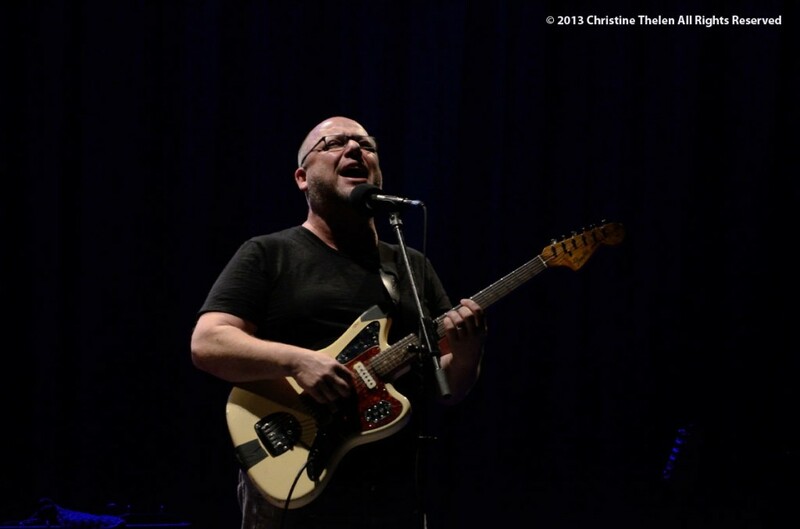 The opener, songwriter, collaborator and friend Reid Paley, would later join Black Francis onstage to perform some of the songs they’d recorded together on the Paley & Francis album, released in 2011. It seemed the two enjoyed finishing off the night playing their music, but the audience might have preferred Black Francis finishing off the night with other classics of his.